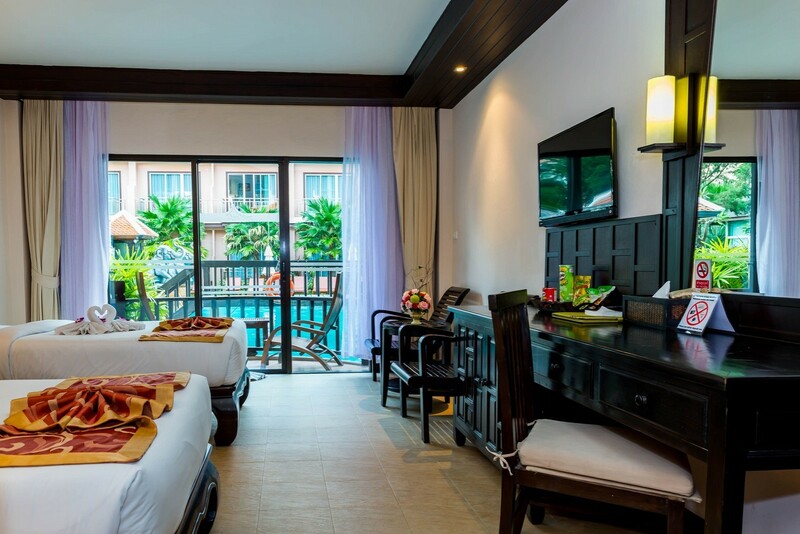 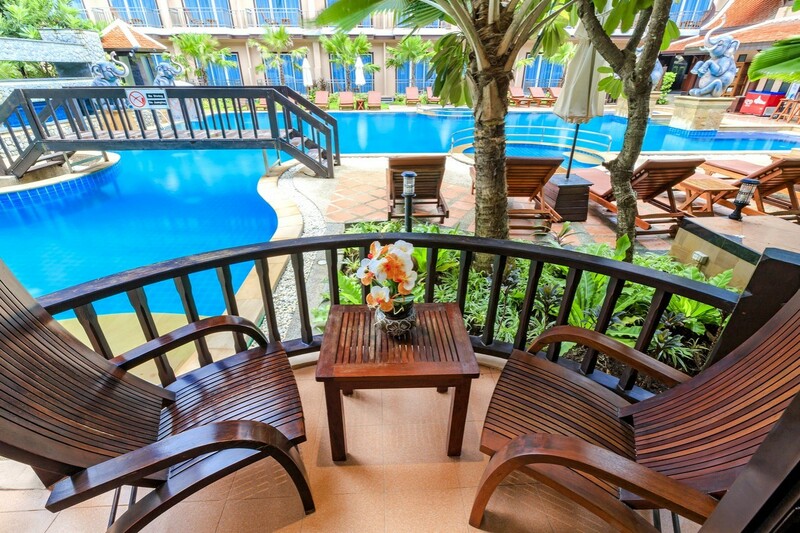 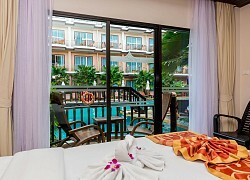 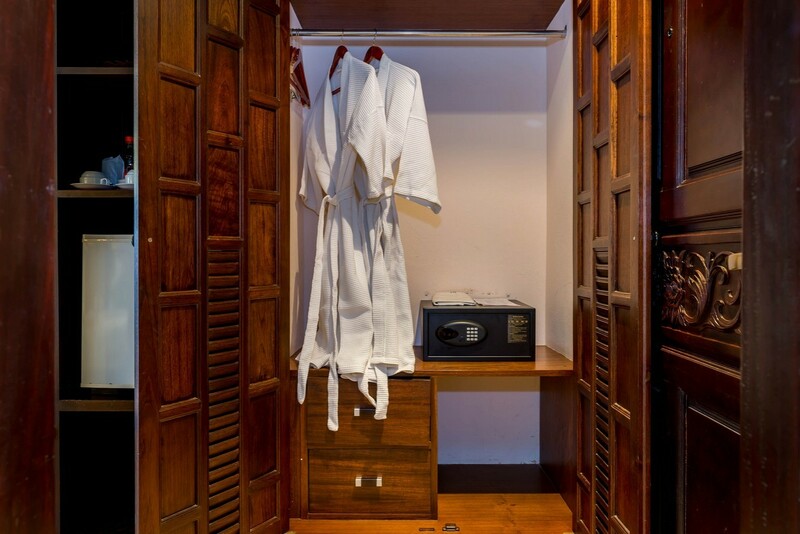 8 Grand Deluxe Pool Access, Room is spacious and fully Teak wood decorated with a touch of classic Thai essence. 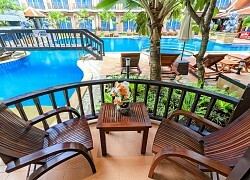 Located on Ground Floor direct access to the Swimming Pool. 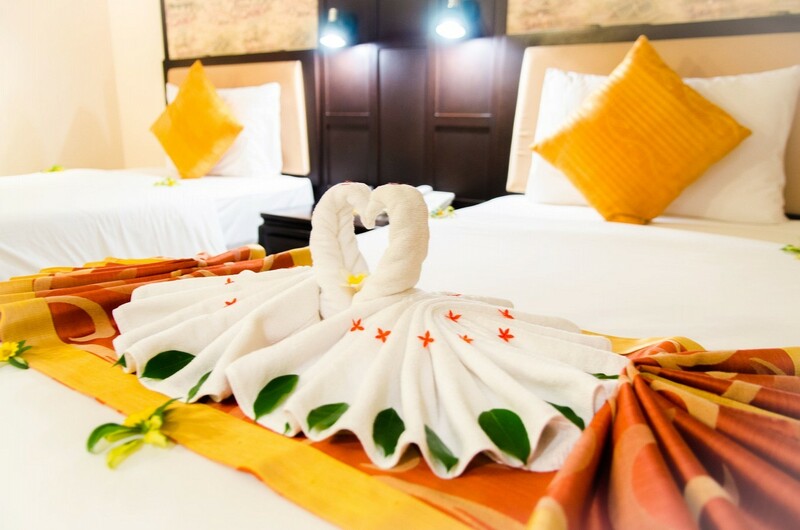 Accommodations offer a king-size bed or twin bed. 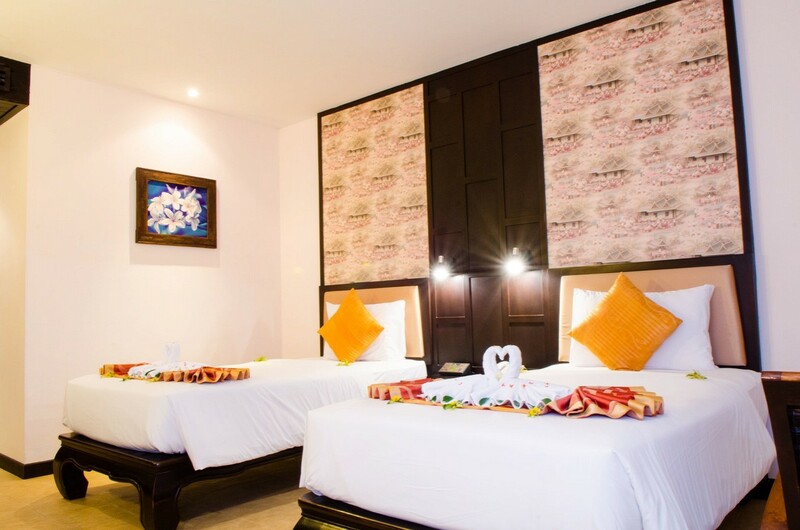 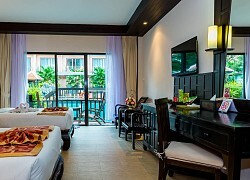 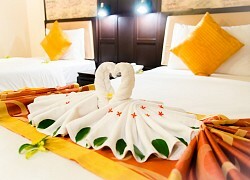 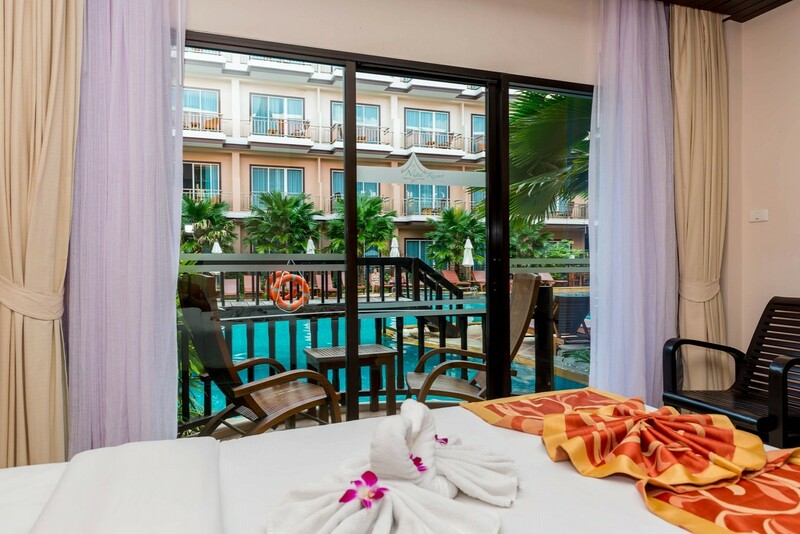 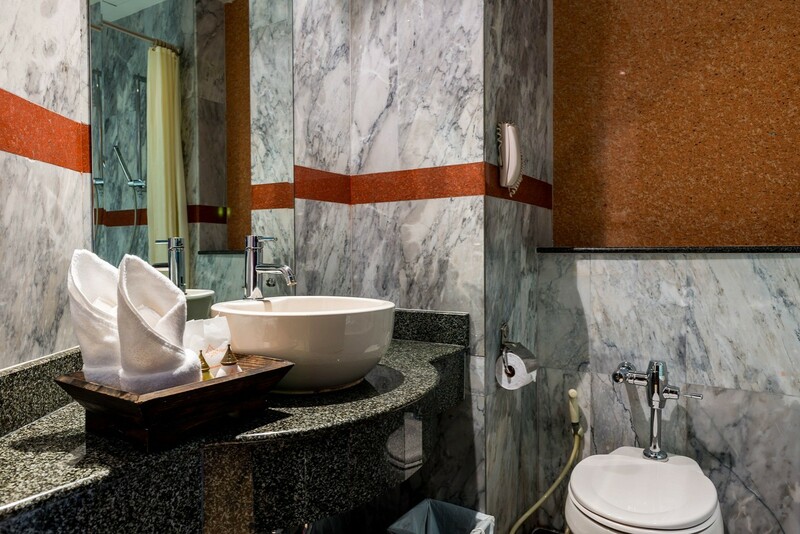 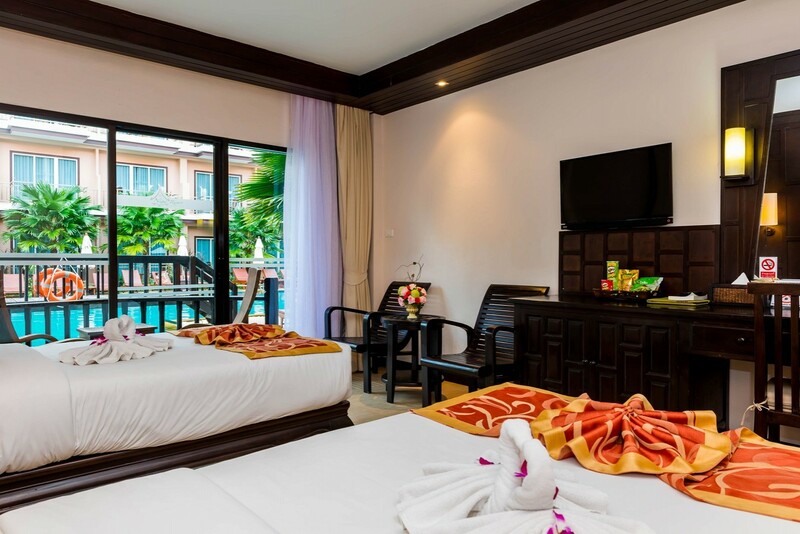 Room features are mainly the same as Deluxe Room, Deluxe Pool View Facilities. 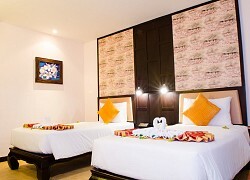 Spacious room 38 square meter inclusive balcony.